PAAIA congratulates our newest Akbar Ghahary Capitol Hill Internship Program (CHIP) Fellow, Nikki Adeli. Originally from Philadelphia, Pennsylvania, Nikki Adeli is a fourth year student at American University studying international relations with a concentration in global economics. 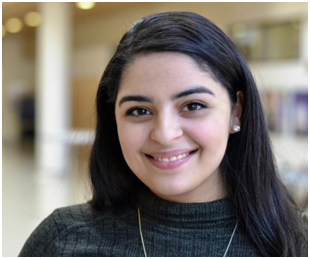 While at American, she has served as the President of the Persian Student Alliance and as a Senator for American University’s Student Government. Nikki’s interest in public policy and legislative affairs developed through internships she’s held with firms such as Holland & Knight LLP, The Glover Park Group, and the Sheridan Group. This semester, Nikki is looking forward to building on her previous policy experiences by serving as a Legislative Intern for Senator Bob Casey (D-PA) through the CHIP Program. Founded by former PAAIA member and trustee, the late Dr. Akbar Ghahary, the Capitol Hill Internship Program aims to promote increased civic participation among young Iranian Americans by offering college students or recent graduates of Iranian descent the opportunity to get a firsthand look at our nation’s legislative and political process. The program is enhanced by opportunities to network with and be mentored by Iranian American staff on Capitol Hill, in the administration, and in non-governmental organizations throughout Washington, DC. PAAIA is committed to expanding opportunities for the active participation of Iranian Americans in the democratic process at all levels of government and in the public debate, as well as providing opportunities for advancement for our next generation.